Pasta heaven at Pasta Armellino. How much do I love carbs? 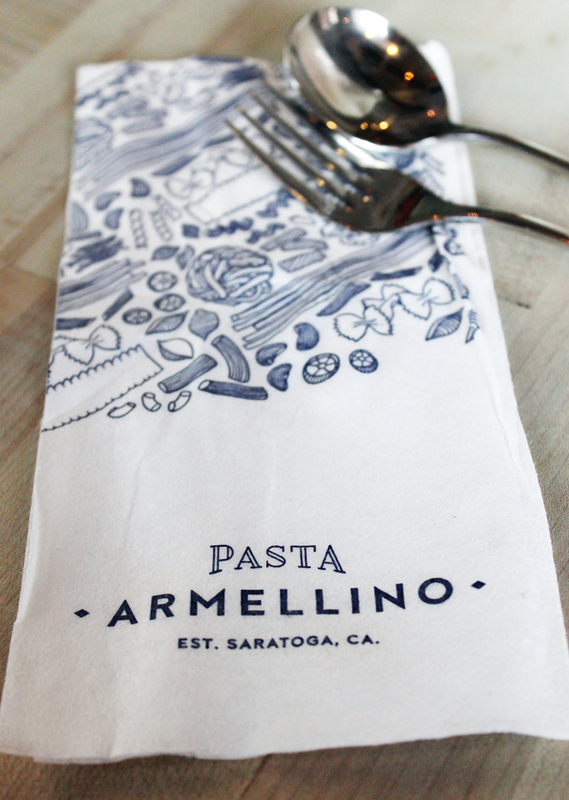 Let’s just say that when my husband and I went to Pasta Armellino in Saratoga for dinner recently, we ordered all six pastas on the menu, plus the garlic bread. We didn’t mess around with any soups or salads. We meant business — carb business. But when the pasta is this dreamy, who can blame us? After attending the media preview of the casual pasta restaurant that opened in February right across the street from its big sister, flagship Michelin-starred Plumed Horse, we were eager to go back to try more. 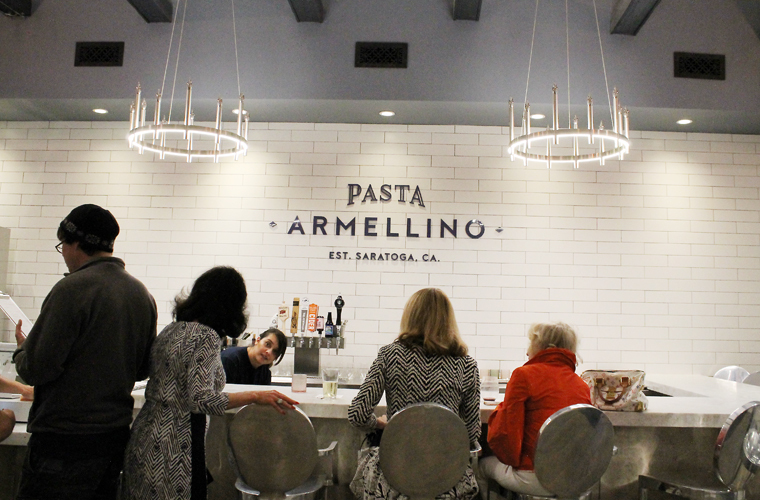 A couple weeks ago, we were invited in as guests of Pasta Armellino to do exactly that. Orecchiette with asparagus and roasted tomatoes. 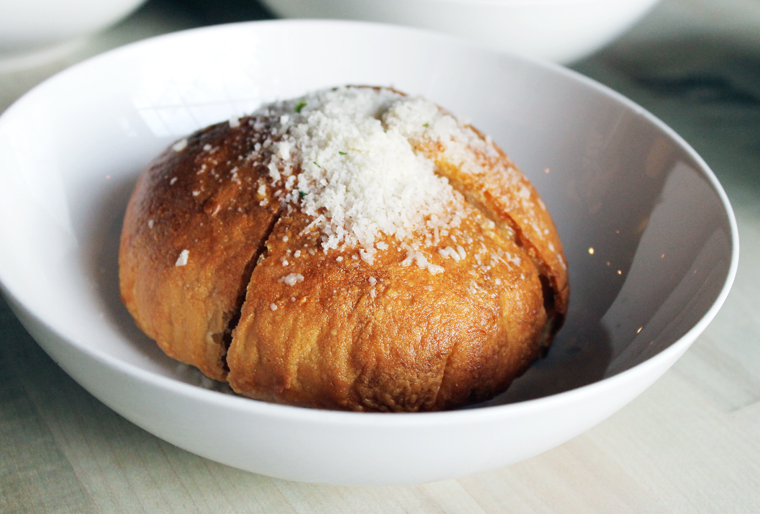 As luck would have it, Executive Chef Peter Armellino was just dashing through the doors of his pasta place then to drop off a tray of still-warm sourdough boules, freshly baked in the ovens at Plumed Horse. Pick up a little clip board that has the menu on it. Mark your selections, give it to the cashier, pick up your drinks, then find a seat to wait until your food is brought to you. 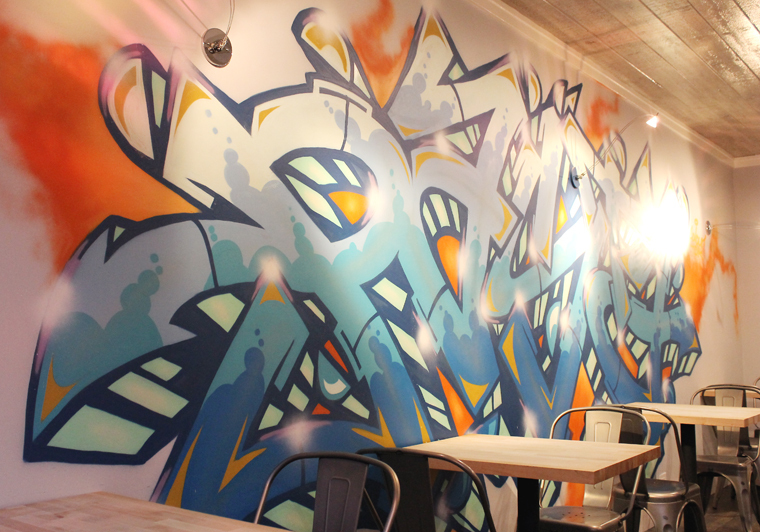 San Francisco-based graffiti artist Chris Kondo’s colorful creation graces the back wall of the dining room. 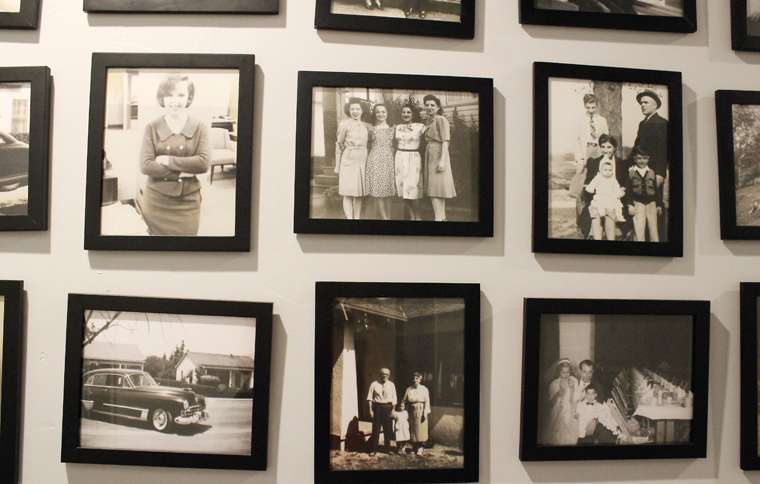 Old black and white photos fill every inch of the the wall down the hallway to the restrooms. The servers wear adorable T-shirts that proclaim: “Beauty comes in all shapes and sizes.” Not only when it comes to people, but pasta, too. The focal point mural in the dining room. Old famed photos fill another wall. That warm sourdough ($5) Armellino had just brought in? It gets a garnish of finely grated Parmesan, garlic oil and sea salt before it’s brought to the table. It’s crusty on the outside and tangy and tender within. It’s a more refined version of your typical garlic bread. The pastas are all decent-sized portions served in wide shallow bowls. One with a salad and the bread will definitely satisfy any hunger pains. 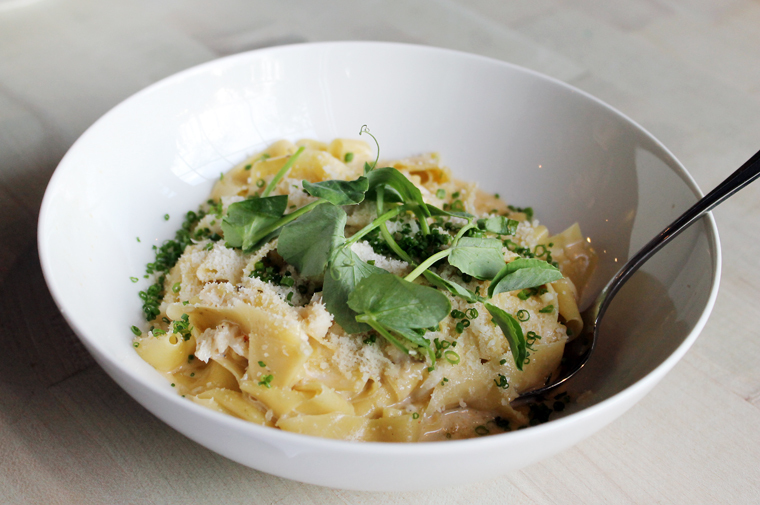 The pastas are all made in-house. There’s a dough room right at the front of the restaurant, where you can watch cooks during the day, rolling out the dough. No matter what type you order, they all possess that perfect suppleness — tender yet toothsome. 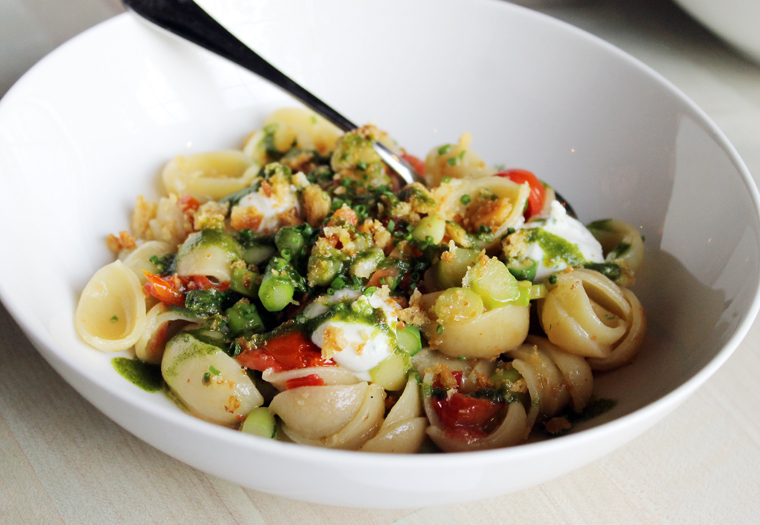 The orechiette ($15) are little ears tossed with spring asparagus, jammy roasted sweet tomatoes, basil and dollops of lemon ricotta. The tomatoes create their own sauce, just enough to bring everything together, with the ricotta added pops of richness. One of my favorites was the spinach bucatini ($15). 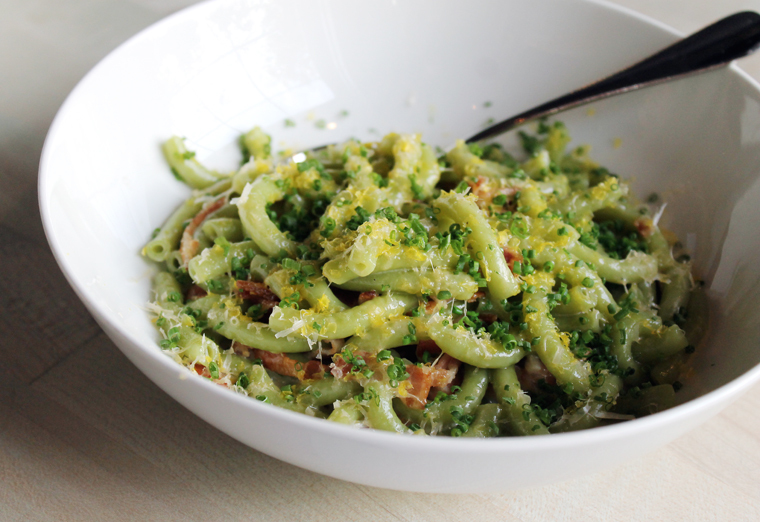 The green strands get plenty of flavor from smoked bacon and aged Gouda, as well as cured egg yolk. It’s porky, fatty, nutty, and salty but not overly so. Basically, you can’t stop sticking a fork into it. My husband fell for the gnochetti Sardi ($16). 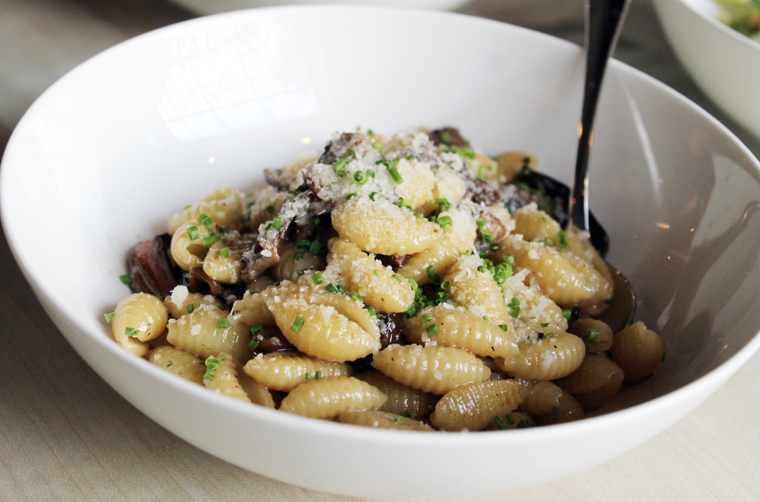 Yes, Meat Boy, couldn’t get enough of a pasta laden with mushroom ragout and black truffle oil — but no meat. The mushrooms are so meaty tasting, as well as earthy, though, they more than satisfy. “Pasta Armellino” tagliatelle ($19) is the most expensive pasta on the menu. But then, it has crab and uni along for the ride. It’s an indulgently rich dish with little pieces of crab throughout. 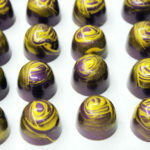 The uni flavor is fairly subtle, just on the finish. Tagliatelle with crab and uni in a creamy sauce. Simple tomato spaghetti done to the nines. 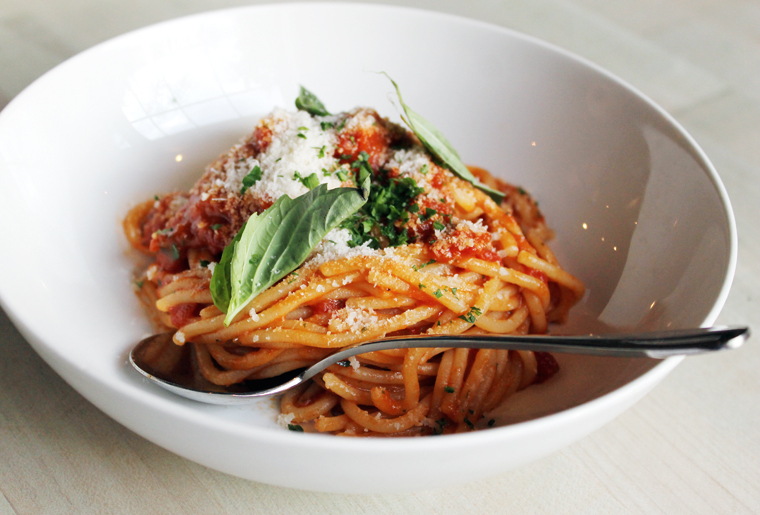 Spaghetti with crushed tomato, Parmesan and basil ($12) is simplicity at its best. This is pure comfort food, a dish you want to curl up with that will make any day better. Kids are sure to love it, too. 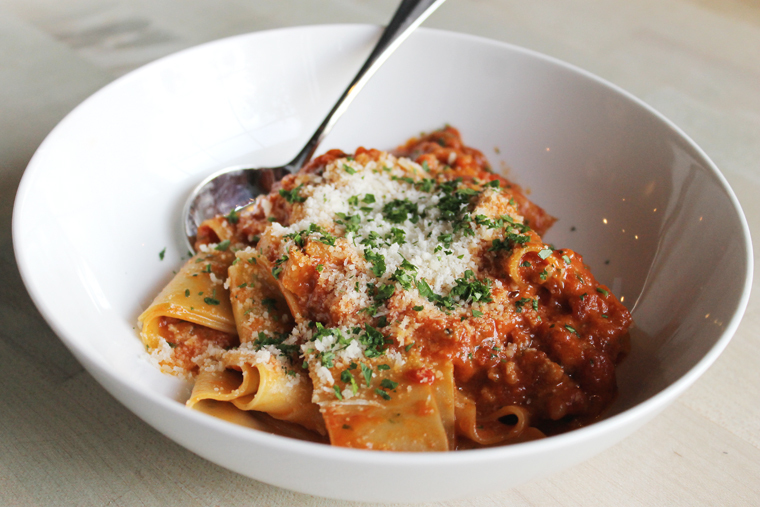 The green garlic papparadelle ($17) are wide noodles coated in tomato sauce with Italian sausage and Berkshire pork. It’s identified on the menu as being spicy, but it really wasn’t at all. That’s peculiar, too, because when I had this same dish at the media preview party, it definitely had a sit-up-and-take-notice level of spice. 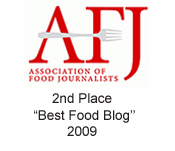 No matter, the porky goodness of the dish still sang through. Affogato with caramel ice cream. There are only two desserts on the menu. 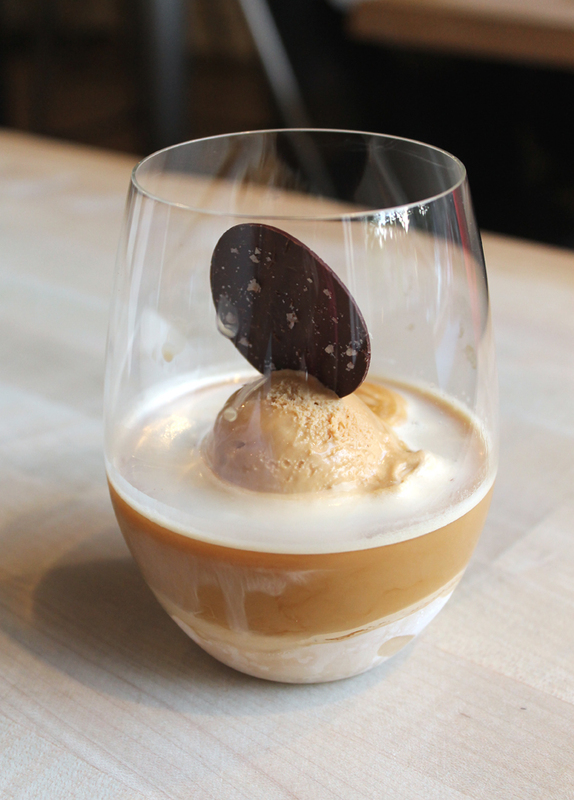 The Affogato ($8) features caramel ice cream with espresso poured over it. I don’t usually go for coffee at night, only in the morning. But the fear of not being able to sleep later didn’t prevent me from partaking. This was simply too good too pass up, like a coffee milkshake. 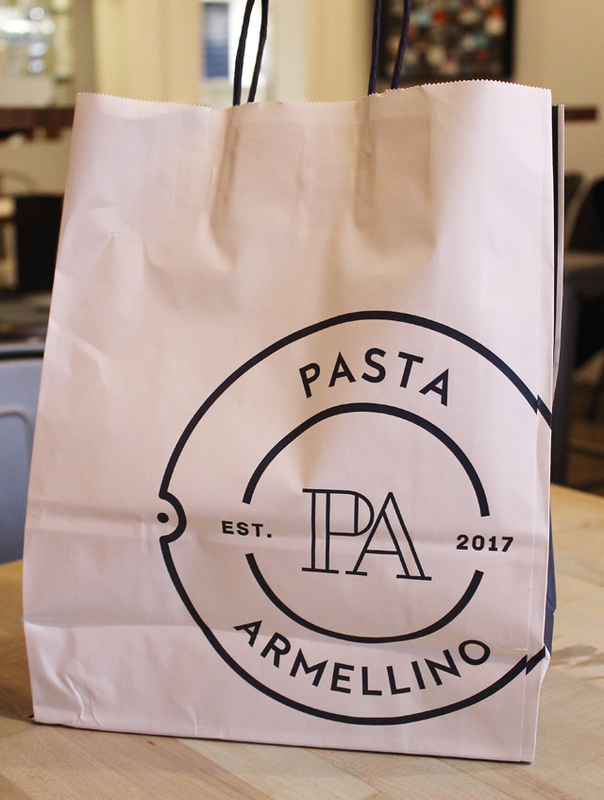 Before Pasta Armellino opened, the chef thought he would offer a “secret menu filled item.” It was supposed to be a pasta. 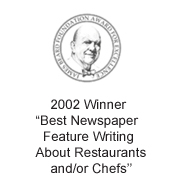 But then the restaurant got so busy making all the other pastas, that didn’t seem feasible. So Armellino turned the secret filled item into a cannoli instead. Only it’s not hush-hush now, it’s listed right on the menu. To tote home the leftovers. 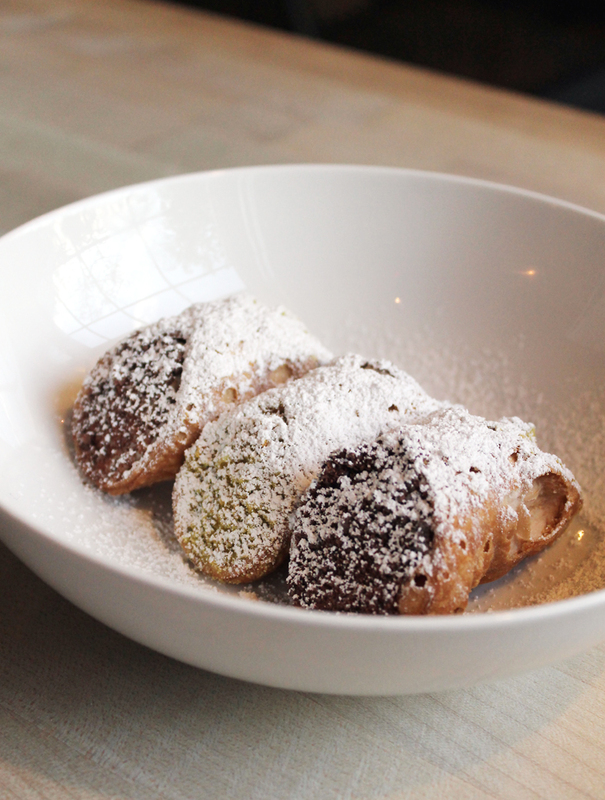 You get three little cocoa nib cannoli ($8) to an order. They are barely sweet. 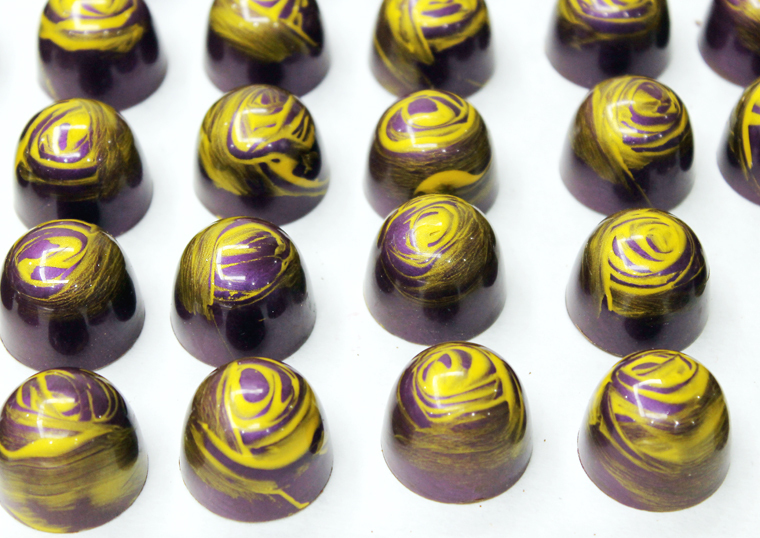 One end is dusted in chocolate, the other in finely chopped pistachios. The sturdy shells are super crunchy and the ricotta filling very thick. 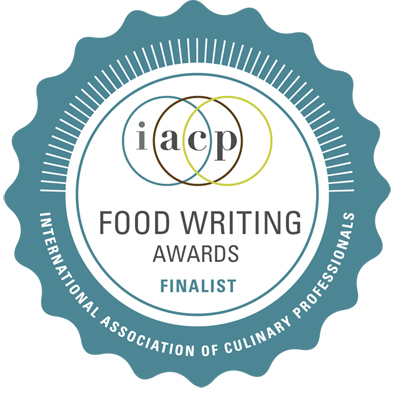 OK, all those pasta dishes look amazing but I’m drooling about the affogato.